Industry leaders have welcomed the passing of media law reform legislation in the senate, saying they are ready to compete on a more even playing field. Seven West Media has welcomed the successful passage of the government’s media reform bill through the senate. “The government and the senate crossbench should be congratulated for their commitment to giving Australian media companies a fighting chance. I would like to thank Minister Fifield and Prime Minister Turnbull, who have delivered a landmark change for our industry. 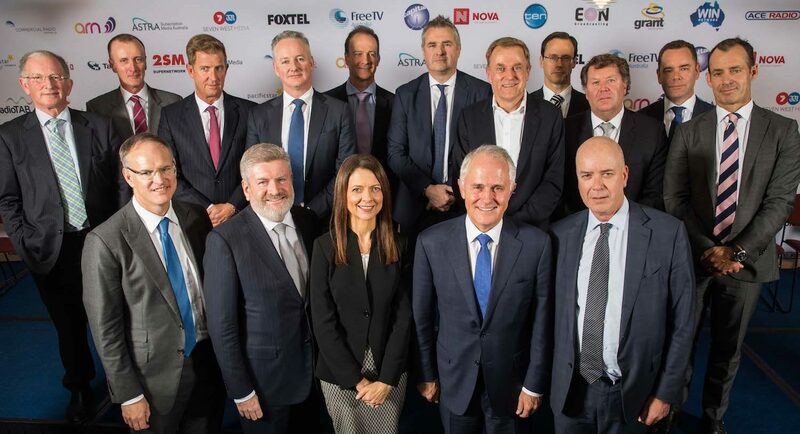 Seven West Media CEO Tim Worner said: “The government has achieved the comprehensive reform package that Seven has been calling for since 2013. That is no easy feat. What has been achieved today will truly empower broadcasters and publishers to meet the increasing pace of change that we are facing. Free TV Australia congratulated the senate for passing a historic package of media reforms, supported by all of Australia’s media companies. “This is a significant win for Australians who love great local content, Australian stories and the thousands of Australians employed in telling them,” said Free TV chairman Harold Mitchell. “This package will allow local media companies to invest in their businesses to meet the changing needs of their audiences and sustain local services. “We warmly welcome the acceptance that we can’t continue to compete with the likes of Google and Facebook under media laws that pretend the internet doesn’t exist and levies the world’s highest licence fees,” Mitchell added. Free TV said in coming together to back local Australian media, the Government and crossbench have supported homemade content, news, current affairs, drama, entertainment and sport that Australians value so highly. The commercial free-to-air television sector alone supports more than 15,000 jobs, investing an average of $1.5 billion every year in Australian content. Prime Media Group congratulated the Turnbull government, Minister Fifield and the senate. “Prime congratulates minister Fifield and all parliamentarians who supported this important reform bill, knowing that the commercial viability of Australian-owned media businesses ensures diversity of voices and opinions in the community, particularly in regional Australia. Fairfax Media welcomed the federal government’s introduction of the broadcast and content reform package legislation. Fairfax Media chief executive officer Greg Hywood said: “We welcome the introduction of the federal government’s media reform legislation today. Fairfax Media has long supported the modernising of media laws to better reflect the current media environment. “We congratulate the prime minister Malcolm Turnbull, and the minister for communications senator Mitch Fifield, for bringing media legislation into the modern age. It is no small feat having the sector united on what is the best legislative setting for the future. Fairfax acknowledges that there was broad support by the senate crossbenchers. Radio, TV and newspaper CEOs to discuss legislation impact at Radio Alive 2017 conference next month. “This is a positive outcome that will bring Australia’s media laws into the digital age and help ensure local media has a chance to compete, evolve and grow,” said Commercial Radio Australia chief executive officer Joan Warner. A panel of media industry chief executives will provide perspectives and commentary on the implications of media reform and the new media landscape as part of commercial radio’s Radio Alive 2017 national media conference to be held in Melbourne on October 13. The panel will be moderated by Daily Telegraph columnist Miranda Devine and will feature Hugh Marks, CEO of Nine Entertainment, Michael Miller, executive chair of News Corp Australasia, Grant Blackley, CEO of Southern Cross Austereo, and Patrick Delany, CEO of Fox Sports. Communications minister Mitch Fifield will also speak at Radio Alive 2017 on a Q&A panel session alongside ABC managing director Michelle Guthrie, shadow minister for communications Michelle Rowland MP and 3AW drive host Tom Elliott, to be hosted by ABC presenter Virginia Trioli.